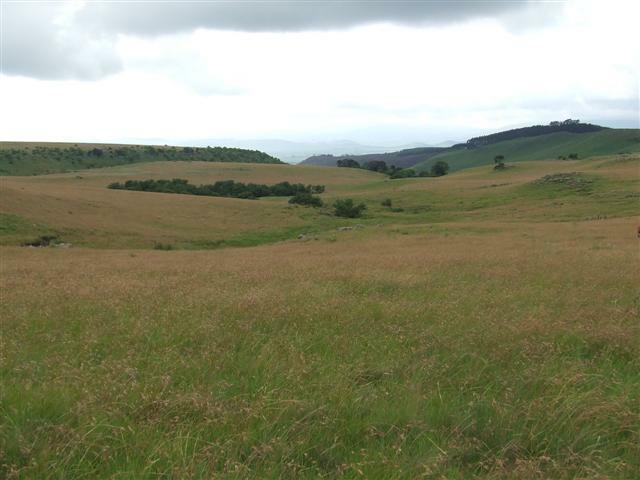 Roy Tabernor, Chair of the Lion’s Bush Conservancy is concerned about the impact hunting dogs have on our biodiversity, in particular Oribi. He submitted this article written by Geoff Muller which answers some of the common questions which landowners ask about this issue. Geoff is an Ezemvelo Honorary Officer and Chair of the Newcastle branch of the KZN Hunting and Conservation Association. First, let’s look at the problem. The illegal hunters trespass, cut fences and their dogs attack livestock as well as game. Landowners struggling to secure successful prosecutions of offenders caught on their properties. 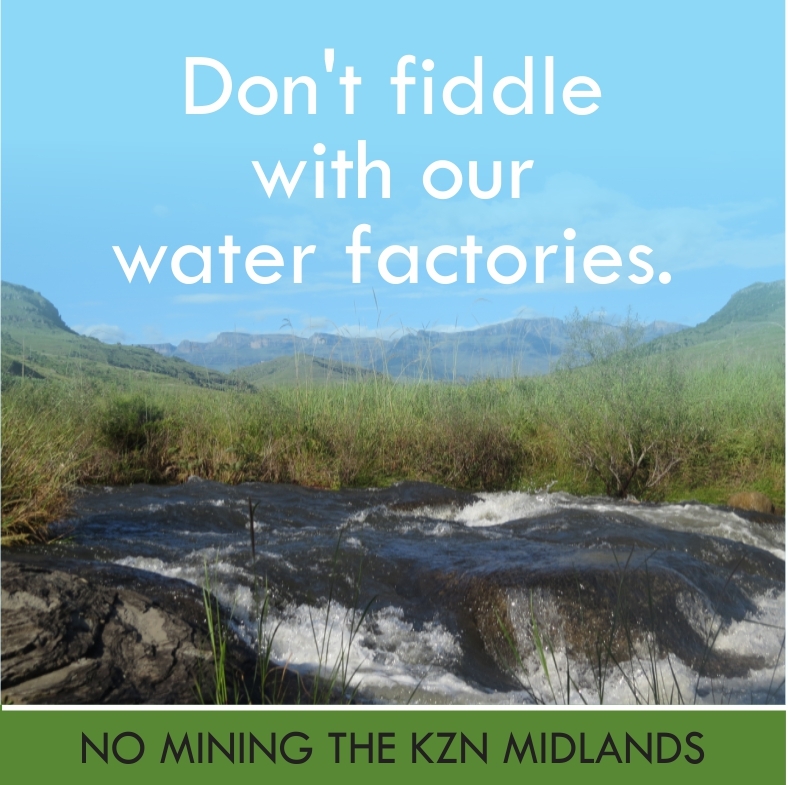 The reasons behind this are a lack of knowledge of their rights and the law among landowners and a lack of knowledge of the law among the hunters and especially relevant to the SAPS, Prosecutors and magistrates. Thus the first step in all of above is education. Secondly let’s look at your rights and the laws regarding illegal hunting with dogs. What is important is the landowners must secure the area and obtain as much evidence as possible, such as photos and witness statements in order to justify the arrests and to ensure a strong prosecution. Gathering of information to be done as soon as possible after the killing/damage occurred. Remember illegal hunting is well-defined by the following: • Trespassing (hunting on any property without permission) • Hunting without and not in the possession of a valid hunting license or permit. When encounter with unlawful hunting on your land or catch hunters in the act it is important to determine the following however it is not always possible because one have to make rapid decisions but in most cases as an owner of the property one should be attentive of the following: • Are they trespassing, do they have permission to be on the land and do they have permission to hunt? – If not it is an offence – Trespass act 6 of 1959 & Section 42 of the Natal Nature Conservation Ordinance No 15 of 1974. • Are they in possession of valid hunting licenses? – if not it is an offence. Natal Nature Conservation Ordinance No 15 of 1974 section 33 & 35. • Are they in possession of valid hunting permits? 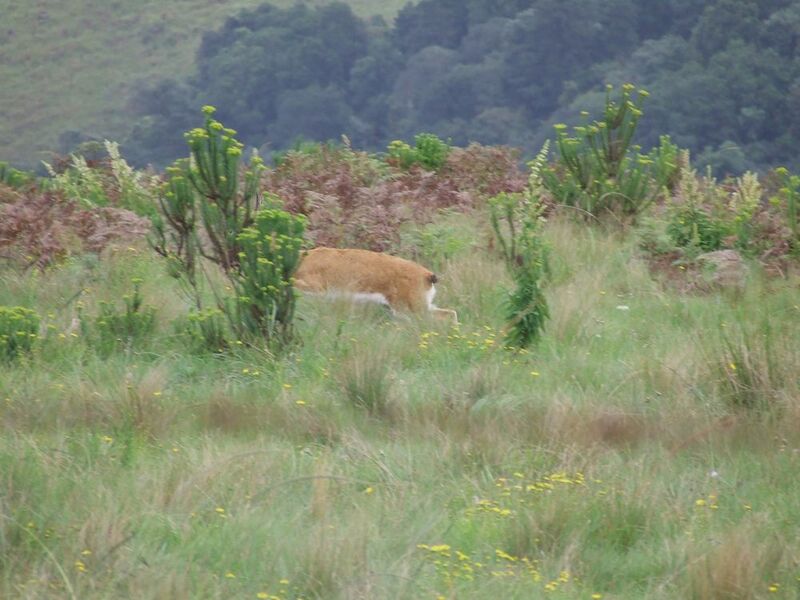 (TOPS: Reedbuck, Oribi, etc.) – if not it is an offence. Natal Nature Conservation Ordinance No 15 of 1974 section 33 & 35 and TOPS Regulations. Act prompt and notify the SAPS and place charges asap. The following sections of the Ordinance and act will support you as the landowner if evidence is found to be present. This can also prevent anyone laying charges against the landowner with regards to malicious damage to property: Section 42 of the Natal Nature Conservation Ordinance No 15 of 1974 provides as follow: (2) If any person hunts or captures game on land on which he is trespassing, or if any person trespasses upon any land on which game is or is likely to be found with any weapon or trap in his possession or accompanied by any dog, he shall be guilty of an offence. (3) Whenever any person is found trespassing on land in any of the circumstances hereinbefore in this section mentioned, any officer or the owner or occupier or person in charge of such land, or the holder of shooting rights over the same, may demand from such person a statement of his full name and place of residence and may direct him to quit such land forthwith, and if he fails to comply with any such demand or direction or gives a false or incomplete name or address, he shall be guilty of an offence. (4) If any person hunts or captures game on the town lands or commonage of any municipal or like institution or other land which is open to the general public, or if any person with a weapon or trap in his possession enters upon any such town lands or commonage or other land on which game is or is likely to be found, in circumstances indicating his intention to hunt or capture game thereon, he shall for the purposes of subsections (2) and (3) be deemed to be trespassing. Section 43 of the Natal Nature Conservation Ordinance No 15 of 1974 provides that any dog not under the immediate control of its owner or other person having lawful custody thereof, which is found destroying or in pursuit of game, or any dog under the control of any person who is found hunting unlawfully on any land, may be destroyed forthwith by the owner or occupier of such land, or the holder of the shooting rights over the same, or by or upon the order of any officer. 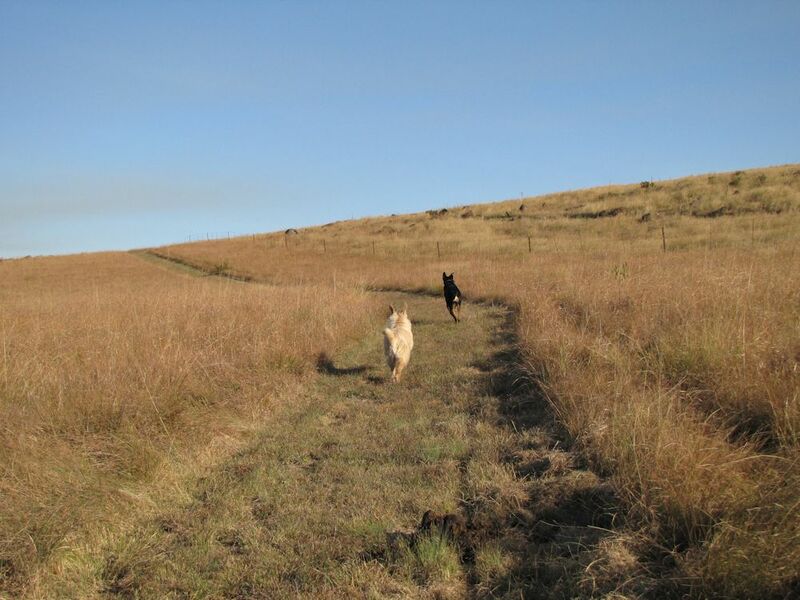 Section 10 of KZN Act on the Licensing and Control of Dogs, No 19 of 1988 provides that any dog found trespassing on any land or attacking or worrying sheep, cattle, horses, goats, pigs or poultry or hunting for or pursuing game at any place, whether on a farm or elsewhere, where such dog is trespassing, may be destroyed forthwith by any authorized officer or by the owner or occupier of such farm. Remember it is all about the illegal hunter and the emphasis must be placed on the issue of the “hunting unlawfully” The words “immediate control” does not mean the dogs have to be right next to the owner or be on a leash for him to have control. The ordinary meaning of control is that the person who has the control of a thing has possession / custody of it and that he has the management of it. This management may be to a limited extent, but provided that he is able to direct and regulate then a person will be said to be in control. The Ordinance refers to immediate control which means that the power to direct and regulate must be relatively strictly controlled. Each case however must be decided on its own facts, taking into account the circumstances. The Ordinance also provides that any dog which in under control of any person who is found hunting unlawfully on any land may also be destroyed. In these circumstances it is not necessary that the dog was involved in the hunting, but as long as the accused is alleged to be hunting, then the dog may also be destroyed. Section 45 of the Natal Nature Conservation Ordinance No 15 of 1974 provides that no person shall hunt, kill or capture game in any public road or in the road reserve of any public road. Section 47 of the Natal Nature Conservation Ordinance No 15 of 1974 provides that possession of snares is prohibited. Any person who is in possession of a snare shall thereby be guilty of an offence. Traditional hunting cannot take place without permission from the Landowner and without the necessary hunting licenses and permits in their possession. So the excuse used that it is traditional hunting is not valid. Hunting on any property without the above is illegal and an offence. It has got nothing to do with whom the game/animals belong too. It is entirely about the Natal Nature Conservation Ordinance No 15 of 1974 that all citizens need to apply too. It is also illegal to remove any game carcass (road kill) which may be found on a public road, unless it is a hazard to traffic, then only should only be removed out of the way. The Criminal Procedure Act 51 of 1977 provides for various types of exhibits/articles to be collected or seized and retained in Police custody and dogs can be part thereof. There are therefore two options: • The dogs maybe destroyed as mentioned in the Ordinance. • The dogs may be seized as an exhibit in terms of Section 20 of the Criminal Procedure Act. Remember as with any exhibit, the costs of retention of any article/exhibit in the Police custody is for the account of the SAPS. Easier said than done; in some cases hunters are often outnumbered and outgunned and so are unlikely to be able to make arrests and it becomes dangerous. Secondly if the police have been called, the hunters and their dogs have fled by the time the police arrive. Therefore one needs to act fast but responsible. As mentioned before if animals were killed by dogs, photos need to be taken of the carcasses by yourself or/and the police as well as of the dogs dead or alive. Supplementary steps may also be taken if required according to circumstances: The carcass must be skinned to show the bite marks on it. Where there is a bite mark on the skin, the skin must be turned to show the inside damage. At this site there will be blood marks this can prove that the animal was alive when it was bitten. A further charge of cruelty to animals can be made to run with the above mentioned charge. DNA must be taken from the carcass, as well as the dogs (meat, blood or saliva). Taking DNA from a carcass If meat is taken, a 1 cm block is ample. Skin can also be taken, a 5 cm square is sufficient. A blood swab can also be used. DNA taken from a dog or animal which is still alive. A saliva swab must be taken. The swab must be rubbed on the teeth and on the gums of the dog. If there is any blood on the mouth/muzzle around the face, then a blood swab sample must also be taken. DNA taken from a dog that is dead. The same procedure as for a live dog, as well as any meat found in the stomach can be taken. Packaging of DNA Each DNA sample must be packed individually. DNA samples taken must be placed in a small zip lock bag (money bag) or a DNA free pill container. They must then be placed in a forensic science bag, which has individual seal numbers. Each individual DNA sample must be clearly marked with the case no. and an exhibit no. No DNA samples can be packed together in 1 forensic science bag. They must all be in their own bags. After the DNA samples have been packed and sealed, they must be stored in a locked freezer, not to allow anyone tampering with the samples for the chain of evidence. All steps which have been taken must be photographed for court purposes. The Investigating Officer must book the exhibits into the SAP 13 for safe keeping before they are taken to the laboratories. The complainant must follow up with the investigating officer to see if all of the above has been done for the chain of evidence. When handling DNA samples preferably wear surgical gloves and replace them with every new DNA sample, to stop contamination. If meat or skin has to be cut with a knife, then the knife must be washed with Jig to kill any DNA on it. A disposable scalpel is preferred to be used. When writing a DNA request (an Investigating Officer has to do it), he must explain the circumstances about the whole case. He must request that all the DNA samples are analyzed and to see which DNA samples match each other. For example: Is there a match between Exhibit A taken from the carcass of the buck and Exhibit B and C taken from different dogs? This entry was posted in Environmental Issue on March 12, 2014 by Midlands Conservancies Forum. Great article! Having a real problem with this in the Botha’s Hill/ 1000 Hills area. Hi Thank you for such an informative article. Illegal pack dog hun ting has been a sore point in our area for decades… The SAP, Protection Service or Spca seem to be really unconcerned. with relevant stake holders. Had a chat with Rob Crankshaw yesterday. Our Local Security company LAZER 911 is keen to come on board and start an Anti Poaching Unit. I need to explore this further with the aim of formalising a proposal to the necessary authorities.